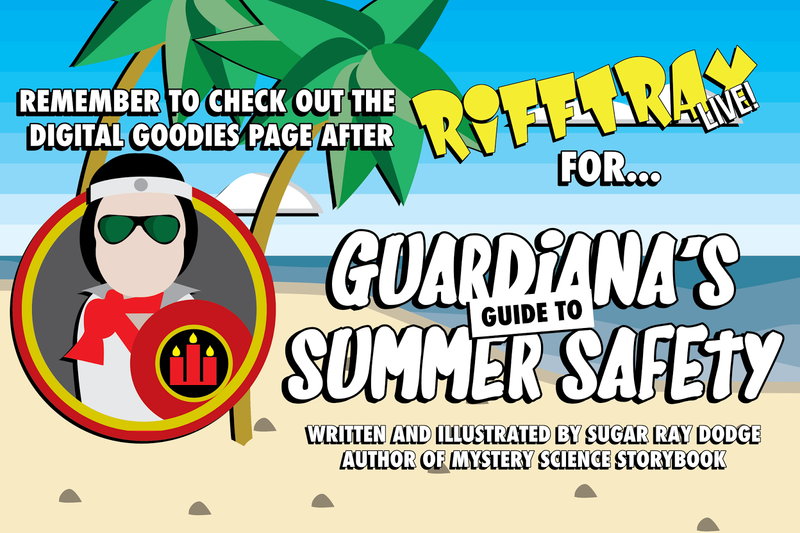 Check Out the RiffTrax Live: Summer Shorts Beach Party Digital Goodies Page for Guardiana's Guide to Summer Safety! Welcome once again to the audience of RiffTrax Live! If you're here, you probably followed the link from the Digital Goodies page where you can download Guardiana's Guide to Summer Safety, but if you haven't we're still happy to have you, sort of. 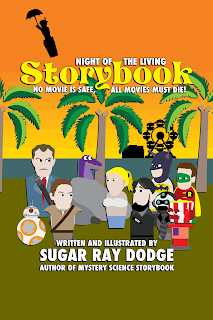 This is the 9th live show in a row RiffTrax has done me the honor of allowing me to contribute to the show in this way. It is truly always such a thrill to come back and share what I can with the audience. 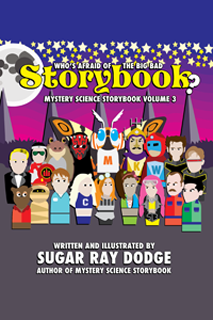 If you like what you saw in GG2SS, you can pre-order a copy of the book it will be collected with, Who's Afraid of the Big Bad Storybook, the third volume of the Mystery Science Storybook series. You can also pre-order special editions of volumes 1 & 2 if you do not already have them, ALL BOOKS WILL SHIP IN AUGUST 2017! 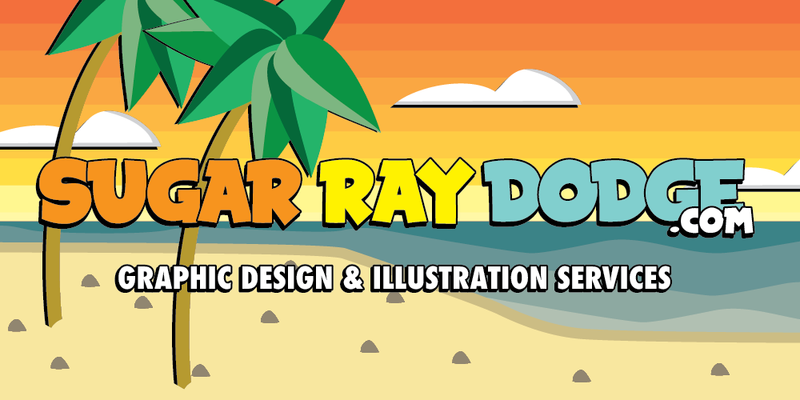 You can also help out the cause by becoming a recurring Patreon contributor, details here. [/shill] If you missed tonight's show, there is an encore presentation next week. Thanks for coming! 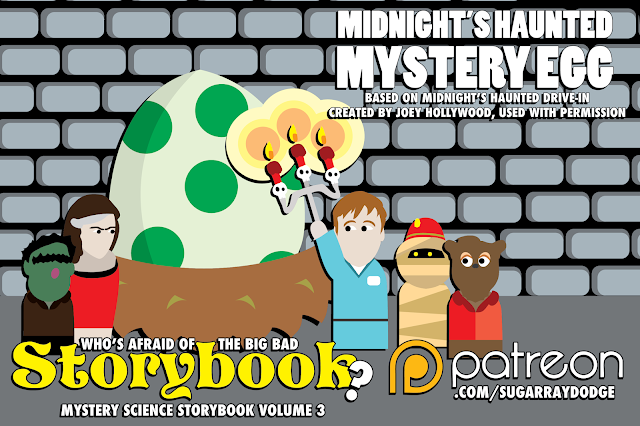 Behold, Midnight's Haunted Mystery Egg, based on Midnight's Haunted Drive In. 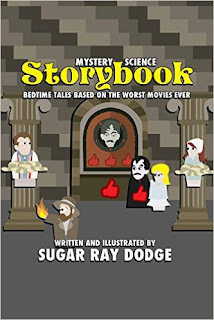 This chapter is part of Who's Afraid of the Big Bad Storybook: Mystery Science Storybook Volume 3. 8-Bit Trish by Al Creed! Something absolutely amazing has happened for my good friend Al Creed and his 8-bit creations. WWE Hall of Famer Trish Stratus has featured his work on her website. This is an insanely big deal and I'm very excited and proud that my friend's work has received this kind of recognition from somebody who is extremely important in the history of professional wrestling. Click here to see Al Creed's 8-Bit Creations of WWE Hall of Famer, Trish Stratus on Trish Stratus.com!